If your record is visibly dusty, do not contaminate your brush by dry dusting. You will harm both brush and record. Wet clean your record first. To use your carbon fiber brush, spin record on turntable and lightly mist brush with spray cleaner. Place brush at a 90 degree angle on the record. With light pressure on the brush, allow record to rotate a few times and then slowly slide brush towards you. Lift brush straight up. Rotate brush bristles back and forth against underside of handle to clear the dust from the fibers. 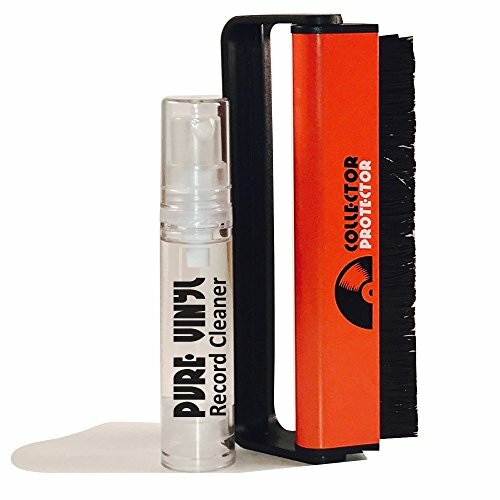 Dry dusting your records with a carbon fiber brush before and after play is the best way to keep your records clean and sounding great. Do not touch/pull on bristles of carbon fiber brush. Incorrect use may cause bristles to shed. A turntable or stylus in bad shape will damage your record. Keep your stylus clean in between records by using a stylus brush. Always brush cartridge back to front, never side to side or front to back. If you have any questions about this product by Collector Protector, contact us by completing and submitting the form below. If you are looking for a specif part number, please include it with your message.